Hey y'all! I'm Amanda, nice to meet you. Of course, we haven't really met until you've introduced yourself. So head on over to my blog and say hi! Today I'm going to teach you five blogging tricks that will allow you to do some of your own blog designing. Don't worry. It's all easy stuff - nothing too hard on here! Amanda has been kind enough to offer my readers a 20% discount on her designs. Please use AllTogether20 to get your discount! The first thing you need to know about is Paint.net. Chances are that if you have photoshop you’re already doing quite a bit of your own blog designing. For those of you who don’t have photoshop, did you know there is a free (who doesn’t love free?) open source alternative to photoshop. Paint.net is fairly user-friendly, and it allows you to do all kinds of photo editing, shading, blending, cropping, and watermarking. (Of course, who doesn’t love picnik for that too?) I have to warn you, there is definitely a learning curve when starting out with paint.net, but there is also a plethora of youtube tutorials out there. So just grab a cup of mojo, sit back, and get ready to learn! The Second thing you need to know is how to make your own blog button. Let's face it. Blogs that have blog buttons just seem a little spiffier, no? And guess what! It’s super easy y’all. Using a photo editing program of your choice, design a button approximately 150 px wide, not too much bigger, not too much smaller. 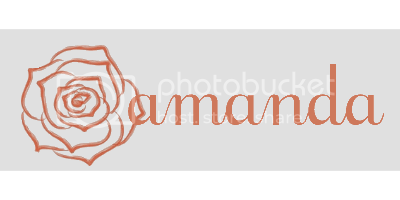 Upload it to an image hosting site like photobucket. Click save and viola! You’re done! Lickity Split! Easy Peasy, no? The third way to make your blog look a little more sleek and sophisticated is to center your blog buttons. Whether they are sponsor buttons or places to party buttons – if they’re on your blog's side bar they can easily be centered, giving your blog a more polished and sophisticated look. Click save. Now isn't that just way too simple? To give your blog an even more polished look, group your buttons together in like-sizes. Your new signature will not appear in previous posts. You will have to create a new post to see your pretty new signature. Your signature will also appear at the top of your post, so when you get to work composing all those great posts, you will need to make sure your content is written above your signature. Now hurry – write a new post, and leave a comment so we can all see how pretty your signature is! We all know it happens. You find a new blog that you l.o.v.e. and you decide to follow. (Secretly hoping they’ll follow you back, right? I know that’s not just me!) You glance over their page for the “follow me” button, but it is nowhere to be found. *Refresh Page*. Ah, there it is. Stupid blogger. Well, that annoying little quirk can be fixed with just a simple code addition to your blog template. In the interest of full disclosure, I learned this trick from Abbie at Five Days Five Ways. So go show her some love and tell her I sent you! Log into your blogger dashboard and click design. There you have it! You shouldn’t have any more problems with your GFC followers disappearing! And lest I forget, thank you so much, Brenda, for hosting me today! It was such a treat!